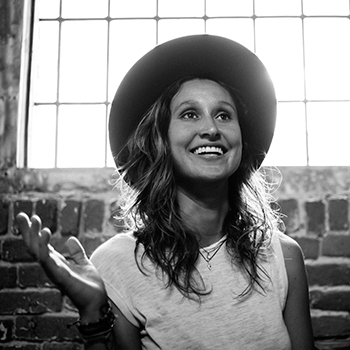 Kassia Meador began surfing at age 14, joining her father for surf sessions in Malibu, California, where she studied other surfers and their techniques, developing her signature graceful surf style. By 17, Kassia was a sponsored pro-long boarder and went on to win competitions worldwide. In 2011 she was ranked 2nd on the WSL Women’s Longboard Tour; the New York Times crowned her the “queen of noseriding.” Throughout her 17-year career as a competitive sponsored athlete, Kassia was actively involved in designing products for her sponsors, including a line of wetsuits for Roxy and a line of watches for Swatch. In 2013 Kassia left sponsored surfing and began to build her own company, KASSIA+SURF with a goal to create products of the highest-quality for the female surf community. Since their launch in 2015, KASSIA+SURF has focussed on making wetsuits, surf, lifestyle gear and accessories that improve women’s surf functionality while expanding the aesthetic variety of the surf market. KASSIA+SURF is about freedom, empowerment, and enlightenment, and delivers superior quality using eco-conscious production; future flavor with a classic twist.